TechWyse Wants You! Are You Ready ? 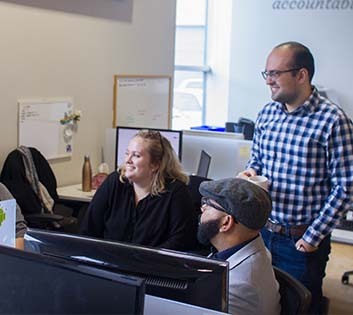 We're always looking for passionate people who desire to work with industry experts, build rapport with teams easily and literally buzz with enthusiasm all day long. At TechWyse, our kitchen is always well-stocked to keep you satisfied from A.M. to P.M., and our weekly Beer N’ Learn means you’ll be able to quench your Friday thirst while learning about the latest movements in digital marketing. We offer the latest technology and equipment to help you perform better at your job. Our office is fully serviced with devices and programs to allow for efficiency and productivity. 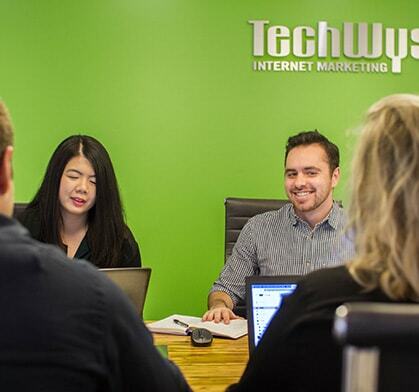 When you become an employee of TechWyse, you’ll be learning about Internet marketing from the most experienced team in Canada. Our employees develop their expert knowledge and experience with hands-on training and endless opportunities for growth. 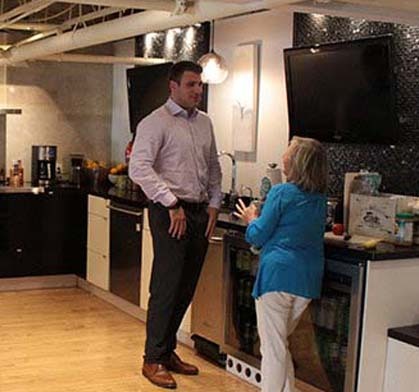 We curate a positive work environment where our employees work hard and reap the rewards. We firmly believe that a happy and healthy team make for a successful company, and satisfied clients. I've been an Account Manager at TechWyse since June, 2015 and I love being here. I work with people who are not only amazing at what they do, but everyone strives for being the best at their job, and doing the best they can for our clients. I love coming into work and knowing that my clients have a dedicated team they can rely on. On a personal side, I've made some wonderful friends at TechWyse, and it’s no doubt that the people here are my second family. TechWyse is a place I like to call home! I have been fortunate enough to play many roles in this business, most recently as the Director of Client Services. Each role has its own challenges and rewards. The people, the working environment, and the sense of community within the team is what makes TechWyse special. We truly care about giving a better experience to our clients. TechWyse has allowed me to grow in my professional career in a way that few employers can. There are always new challenges that come up day-to-day, but the beauty of working at TechWyse is in the team's willingness to take on those challenges and keep moving forward! 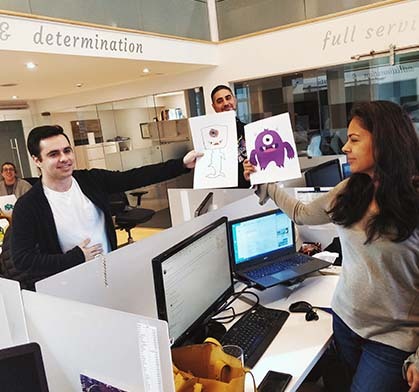 TechWyse is an energetic place, full of passionate people! We build our culture around creating a team that wants to make a difference and helping each other learn and grow. 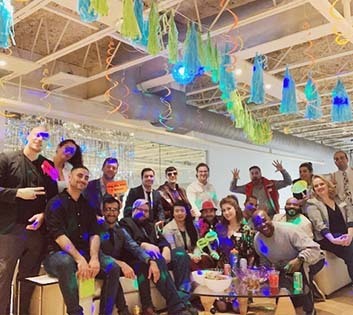 We are an agency, we work hard and play hard and ultimately do what it takes to be successful for both our team, and our clients in a competitive, high octane industry that is constantly changing. 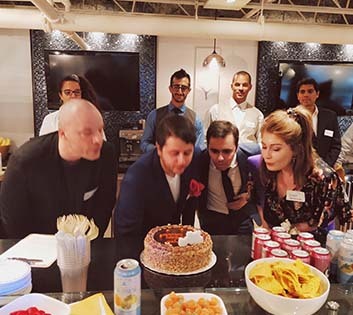 That's a challenge that we rise to and I am proud of what we, collectively, have achieved through hard work and personal growth and am pleased to have made lifelong friends that have developed successful careers here at TechWyse. Do you have a passion for building actionable sales solutions for companies in the internet marketing industry? Do you enjoy working with a team building sales goals and metrics? TechWyse is an industry leader in both internet marketing and conversion friendly website development company located in Toronto, Canada. We are currently looking for a career oriented individual with internet marketing sales experience and aspirations to lead. Team players who have a passion for the online industry who enjoy team building and achieving goals are strongly encouraged to apply. We would like to reiterate that this position is meant for a career oriented and passionate individual for the internet marketing and website development industry. We are looking for individuals interested in growth and team building. to both run and manage the growth of the department. Reporting to the SVP Operations, the Social Media Manager is responsible for creating, managing and executing digital marketing campaigns in social platforms for a broad range of agency clients as well as our own agency brands. This role offers significant opportunity for career development since the right candidate will be leading the social department and representing the agency to our clients. This includes assisting in developing the agency service level and deliverables as well as vetting and selecting the industry tools for use in the social department. Planning, developing, presenting and delivering successful strategies for clients is a core component of this role. Additional responsibilities for the Social Media Manager also include assisting in outreach and communication as well as planning content creation to help support our client’s online marketing campaigns. The Social Media Manager is a highly motivated individual with experience and a passion for digital marketing as a whole with specific skills and experience in delivering results in social media platforms. At our agency, individuals are driven to continuously improve their skills and expected to take action outside of the day-to-day. Going to events, seminars, workshops, and participating in online training for skills and expertise would be expected. Assist various team members with the coordination and execution of digital marketing campaigns across a wide range of client accounts. To remain productive and hungry for a challenge. Respond quickly and complete all tasks in a timely manner, mindful of deadlines. 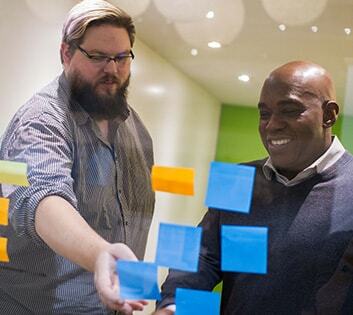 Assist with the management of client campaigns from planning to production, including: brief development, ideation, channel recommendations, creative development, configuration implementation and management. Campaign performance reporting across all TechWyse digital marketing efforts, providing insights and recommendations when possible. Review social, content, SEO and paid media assets to ensure quality and alignment with client expectations. 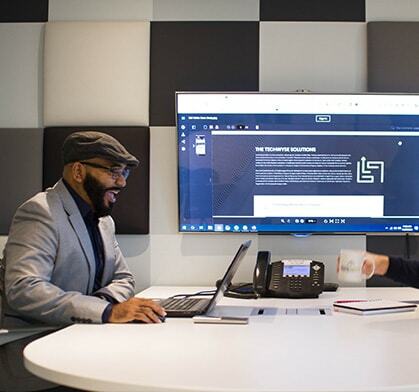 Attend client meetings with TechWyse team members, absorbing process, taking notes, and creating meeting summaries with actionable next steps. Assist in the development of client relationships and growing accounts towards the clients business objectives. Assist with reputation management and review solicitation, measurement and responding on behalf of the client company as needed. Review and document campaign performance and opportunities for improvements using industry leading tools like Google Ads, Google Analytics and AdLuge our proprietary lead management & reporting system. Continuous and ongoing research in the internet marketing industry including, but not limited to, analytics, pay per click, SEO, social media, content & email marketing and new service additions. Looking for a Career? (not just a job) Are you a Paid Search and/or Google Ads guru? If so, we have the ultimate position available where you can manage and lead the way for a top Toronto area, search marketing firm. Candidate should possess ambitious characteristics, organization skills, be results driven, with willingness to work varying time schedules with a team of young, vibrant individuals. We want to stress that the successful candidate must be fluent in English. Do you have experience leading a web development company both in technical and management areas? Do you have technical knowledge in both PHP and database architecture or creative talents? Are you looking for a lead position in a fastly growing internet marketing and web development company? Managing departmental financial goals and being responsible for profitability. Strong relationship building with clients. Working with designers, programmers and the project management team in fast paced environment. Development of project documentation and scoping requirements (including database architecture) for development team. Aiding the sales team in developing strong technical solutions for company prospects. Experience managing the many facets of a web development department. Project Management experience with web development projects. Strong documentation and web solutions skills. Knowledge of any of the following programs;MS Project, Adobe Products including Photoshop, Dreamweaver & Visio. Do you have experience working in the search engine marketing industry? Have you held a position which allowed you to create, manage and test Search Engine Optimization results for various clients? Do you have experience helping companies improve there SEO results using both On Page and Off Page techniques? TechWyse is a Toronto based, North American leader in Search Engine Marketing. 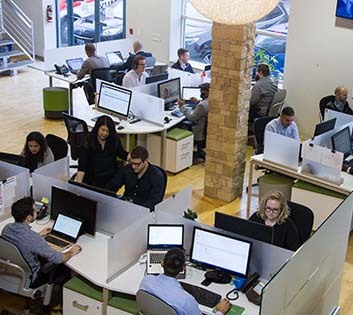 With core competencies in Web, Traffic Building and Analytics Measurement, TechWyse is looking for an expert to lead the companies Search Engine Optimization division. Expert level knowledge of both On and Off page SEO techniques. Provide expert technical instruction to support staff and technical team. Expert level abilities in Copy Writing and Editing. Strong communication and fluent in English. Knowledge and understanding of White Hat SEO techniques. Knowledge of Google+, Google Places & Local Business. Participation in client and staff meetings. Strong presence in video presentations. TechWyse has locations in both Canada (management) and India (production). The ability to manage this process will be in large part determine your ability to excel at this position. We are looking for out of the box thinkers that enjoy working with people. Some light travel to visit team members is possible with this position.